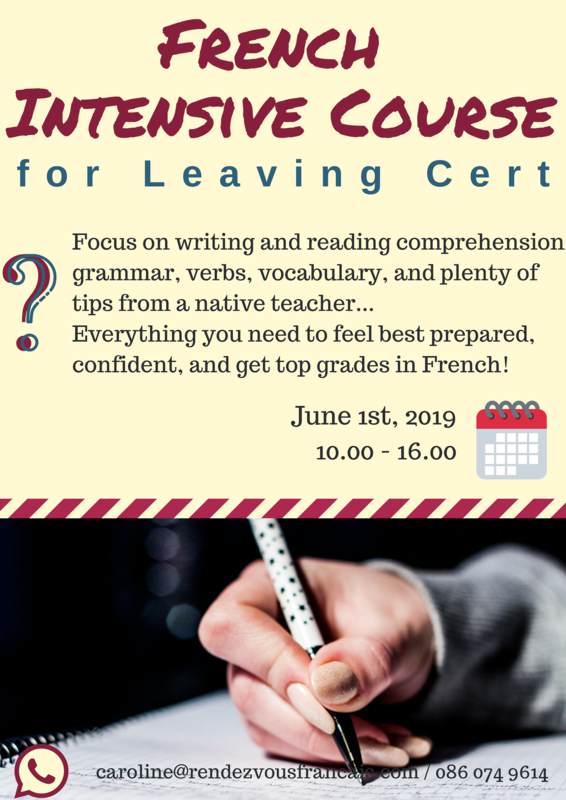 Because revising a foreign language on your own can be quite challenging, we will be running an Leaving Cert Intensive French course, just a few days before the French exam. Our Intensive course will focus on writing and reading comprehension: grammar, verbs, vocabulary, methods and plenty of tips from a native teacher. Everything you need to feel best prepared, confident, and get top grades in French! The course will run from 10am to 4pm. We will have a 30/45-minute lunch break during which students can stay in the classroom, or go into Navan town to buy lunch. So that everyone can get an individual attention, we allow a maximum of 8 students. Contact us soon to enrol!